Empower your life in the spaces where you live, work, and play. “Denise did an outstanding job with my gutted condo. She took the floor plan and created a space for me that I never imagined i could have! She researched, designed, and presented me with a package of fantastic colors, awesome furniture, and sustainable elements for a free-flowing, exciting area. It has made me come alive in my own space. Her experience as an architect, designer, and passion for sustainability all melted into one happy place. She considered my budget, presented the plan in a positive and personal manner, and listened to my interests. Follow ImaginEco for daily design tips and inspiration. 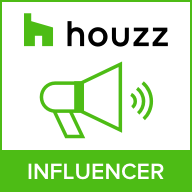 Check out more projects and reviews on Houzz. I'm here when you need me! Sign up to get more style delivered directly to your inbox.